This article is about how to create a Marian Garden, id est a Mary Garden. If you're looking for a short article, this isn't it. "What", you may ask, "is a Marian Garden (i.e. Mary Garden)?". Your landlady named Marian or Mary. As I mentioned before, there may be many references to Marys. Yours should honor the Mary you admire most. There's no telling of the first Marian gardens. 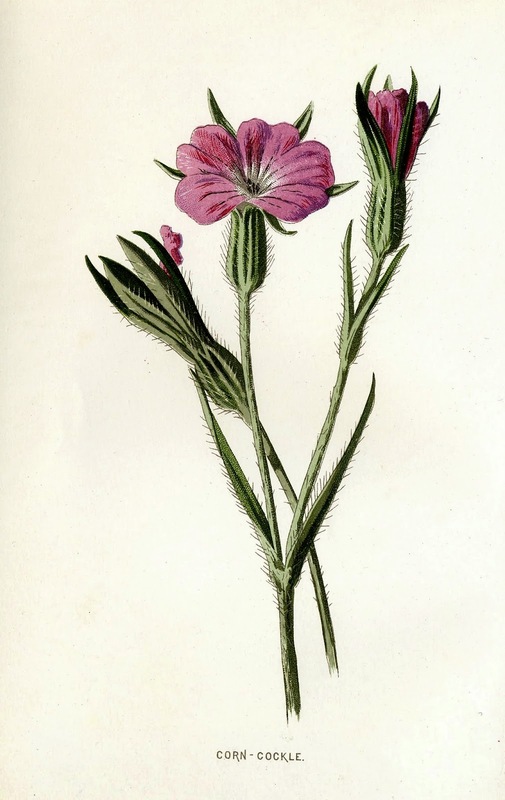 They probably began with a few plants noticed along the way or in gardens and used as teaching tools, i.e. object lessons from nature. There are a few historical references to them, but none before the advent of Christianity. I believe they became very popular, though secretly (i.e. without statuary), among Roman Catholics, especially in England during Great Harry's reign, then not so secretive during Mary's reign, then much more secretive during Elizabeth's reign. And pretty maids (or lady bells) all in a row. The execution of Mary, Queen of Scots. The words vary, and the meaning is unclear, but there are double entendres aplenty. It might refer either to Mary Stuart's execution or Mary Tudor's death, or perhaps to Mary Tudor's persecution of Protestants. Both were Roman Catholics. I tend to believe it has to do with Mary Stuart. The reference to Marian gardens is clear. Silver bells might have referred to plants such Ornithogalum nutans, white Campanula, Leucojum or Galanthus species and also to altar bells. The cockle shell might have been the common cockleflower or corn cockle (Agrostemma githago), but certainly referred to the cockle shells worn by pilgrims on the road to Santiago de Compostela. "Pretty maids" or "lady bells" might have referred to Ladybells (Adenophera stricta) and also to ladys-in-waiting attending the doomed. Traditional Marian gardens are set in places that allow for meditation and include plants that are somehow related by history or legend to the name of Mary. I know of a Marian garden set in an otherwise empty lot without shade under the hot summer sun somewhere near here in south Georgia. Mary wouldn't like it any more than Egypt, and I never see the owner out there, either. 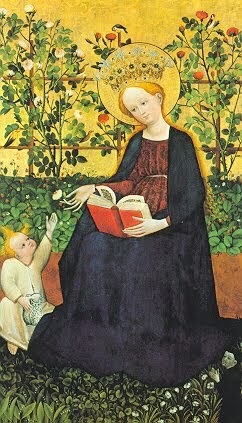 So I suggest your Marian Garden be established in the shade so it can be enjoyed. I've seen Marian gardens in front yards for all the world to see. I don't understand that at all because the front yard is no place to meditate. Pray and meditate in secret. (See Matthew 6:6.) I suggest your Marian garden be in an appropriate place, preferably walled about. Depending on your situation, you might design a knot garden, box garden, water garden, herb garden, woodland walk or a collection of pots and baskets for a container garden. Just say "no" to labyrinths. Here's where it gets interesting. None but frankincense (Boswellia spp.) and myrrh (Commiphora spp.) have any biblical association with Mary. But there is a heavenly host of plants you might include in your Marian garden that are drawn from tradition. It seems Roman Catholics saw Mary in everything. Protestants have never been so imaginative. Alchemilla mollis, aka *Lady's Mantle. Amaryllis belladonna, aka Beautiful Lady. Aquilegua vulgaris, aka Columbine, *Lady's Shoes. Calendula officinalis, aka Marigold or Mary's Gold. Campanula medium, aka Canterbury Bells, Our Lady's Nightcap, Mary Bells, Our Lady's Smock. These names may have had something to do with the aforementioned queens. Centaurea cyannis, aka Bachelor's Buttons, Mary's Crown. Clematis virginiana, aka Virgin's Bower. 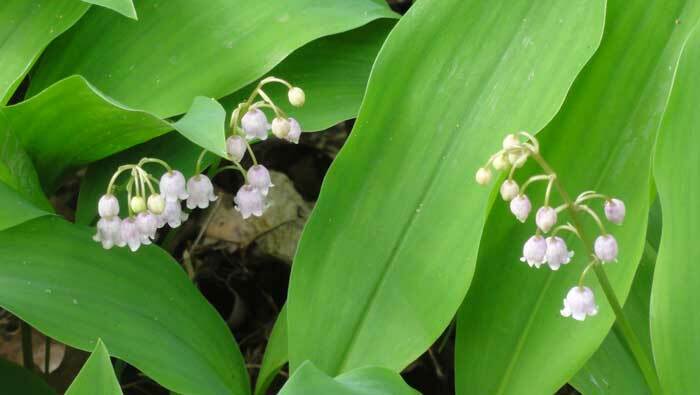 Convallaria majalis, aka Lily-Of-The-Valley, *Lady's Tears. Cyperus papyrus, aka Bulrush. They grew like water weeds in Egypt. Miriam wove them into a basket to save her baby brother, Moses, to the world's advantage. Dicentra spectabilis, aka Bleeding Heart, Mary's Heart. Glechoma hederacea, aka Hedgemaids, Madonna's Herb. Gypsophila paniculata, aka Mary's Veil. Ipomea purpurea, aka Morning Glory, *Lady's Mantle. Lilium candidum, aka Madonna Lily. Matthiola incana, aka Stock, *Our Lady's Violet. Nymphaea alba, aka Water Lily, *Lady-of-the-Lake. Paeonia spp., aka Mary's Rose. Primula vulgaris, aka *Lady's Frills. 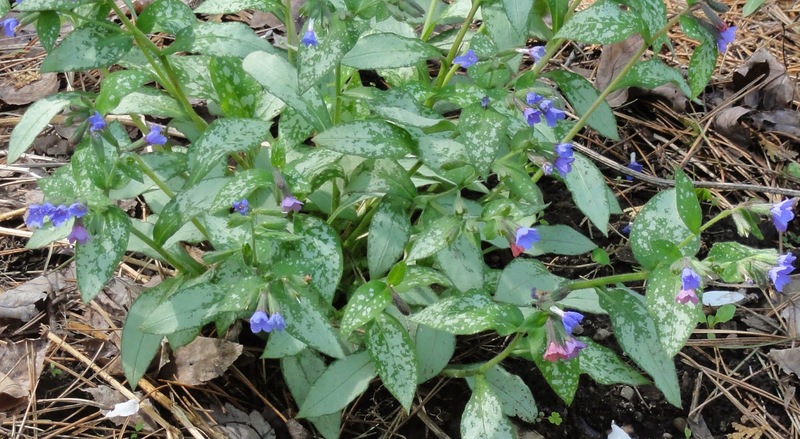 Pulmonaria officinalis, aka Mary's Milkdrops, Mary's Tears. Rosa spp., roses of different colors symbolizing the BVM's life events or attributes such as visitation, purity, sorrow, glory. Scabiosa columbaria, aka Pincushion Flower, Mary's Pincushion. Tradescantia virginiana, aka Spiderwort, *Lady's Tears. Viola tricolor, aka *Lady's Delight. 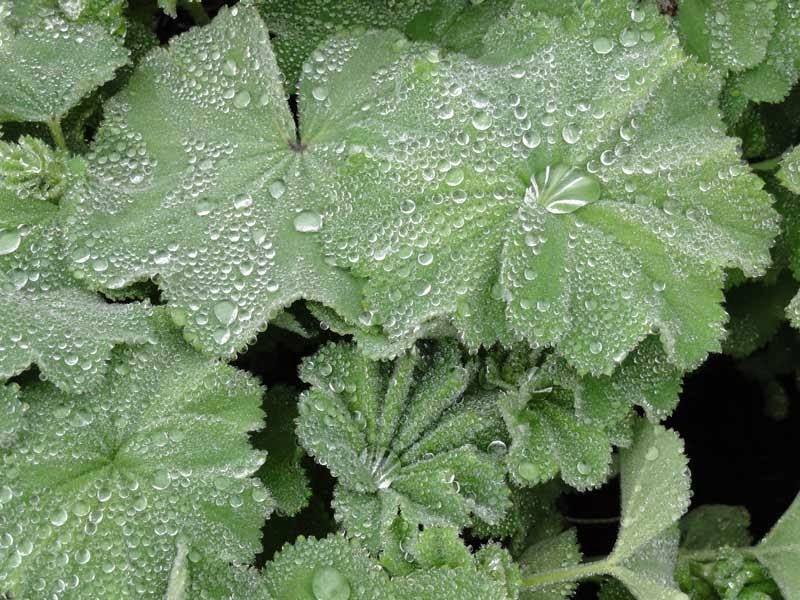 For a more complete history and list of plants associated with Mary and Christian themes, I recommend you visit the Mary Gardens page at Fisheaters.com.